Instagram is one of the fastest growing social media platforms. With more than 600 million subscribers and 300 million active users per day, it is the perfect opportunity to market your brand and reach new people. Users from all over the world have made Selena Gomez incredibly popular with more than 105 million followers. Among the top 10 most liked pictures on Instagram, 8 of those belong to the actress and singer. In fact female music stars dominate the top 10 most followed accounts. Soccer icon Cristiano Ronaldo, Justin Bieber, and wrestler turned actor The Rock are the only men to break in to the rankings. This makes sense when we learn more women are registered than men. If you don’t have an Instagram account for your business it is now time to jump on the bandwagon, as 70% of all brands are expected to be on the platform by the end of 2017. The advent of smartphones with high-resolution cameras helped paved the way for this growth. There are even 150,000 Instagram users in Kyrgyzstan! 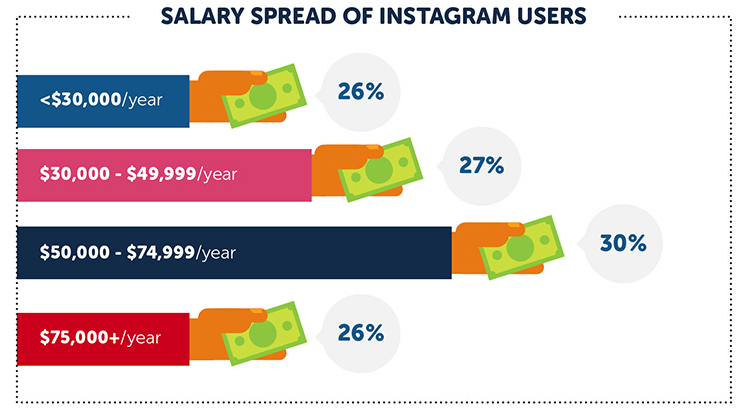 This data and more is part of an informative new infographic from Website Builder , which explores Instagram’s history and many of its interesting statistics. 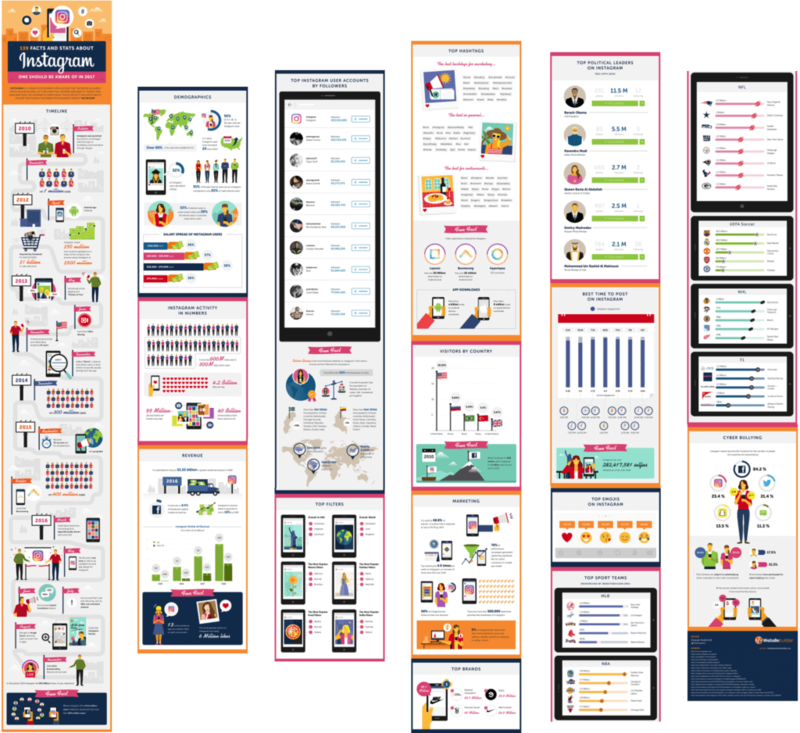 Here is some more of what we gleaned about demographics, which might help you with your own marketing campaign. What sets Instagram apart from other social networks is that it focuses mainly on images. You don’t have to read several paragraphs to understand what the post is about. You don’t even need to read 140 characters like on Twitter. Instagram users simply flip through photos and videos to understand the message. The art of photography is universal and Instagram allows your business to speak to your audience visually. This may be why 80% of users are from countries outside of US – a higher percentage than other platforms. When you are capable of taking interesting photos or creating eye-catching memes and images, you can become an Instagram star. Images break through language barriers. To be popular on Instagram you also don’t need to be eloquent in English – Emojis and hashtags dominate captions. This is perfect if your audience is international or global. Getting it right however is challenging because with more than 95 million photos and videos shared every day, there is a lot of competition. Due to its beautiful nature images National Geographic is one of the most followed brands. Humor and fun are always easy to deliver via photos and 9GAG is also one of the biggest. Fashion lovers (and the wandering eyes of men) can’t get enough of Victoria’s Secret pictures, and the sports brand Nike has truly understood the power of Instagram for promoting their latest designs. This is compounded by a charitable approach, with body positive images for women and other empowering messages. What can you learn from these big brands in marketing your own business? One aspect of the app that you should familiarize yourself with is filters (automatic tweaks you can make to your photos). If your business is targeted at audiences in the United States, you should make use of filters such as Clarendon, Gingham, and Juno/Lark, as these are the most popular ones. In essence, filters make your images more vibrant and airbrush blemishes. Obviously however you need to look at the context of your image before choosing the right filter. Whichever you choose the aim is to enhance and stand out, not to obscure. 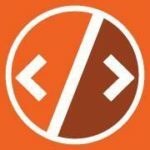 The most successful hashtags in the food and restaurant industries are #food, #foodporn (usually accompanying photos of food), and #foodie (to denote a food enthusiast). Overall #Love is the most popular hashtag across the world. Research hashtags for your own industry and incorporate other popular tags to gain more followers. Wednesday at 5pm is the busiest time on Instagram. If you don’t know when your specific demographic is most active, this is a good place to start. 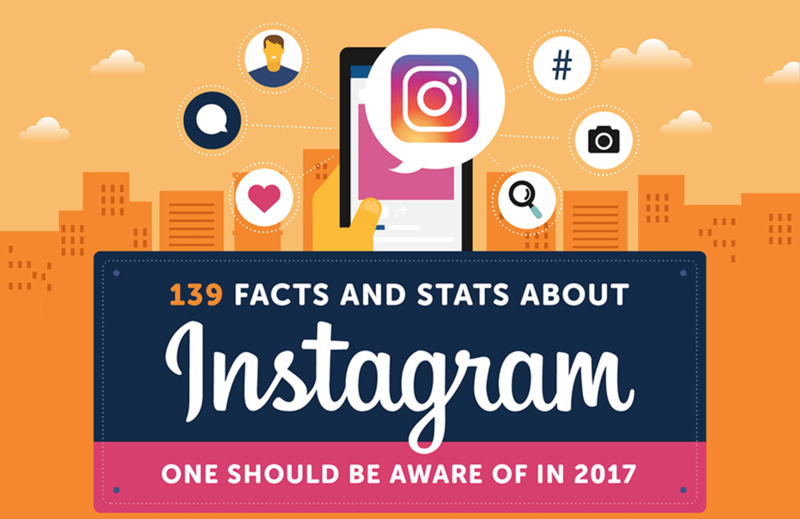 For more interesting stats covering all areas of Instagram, make sure to check out the full Infographic!